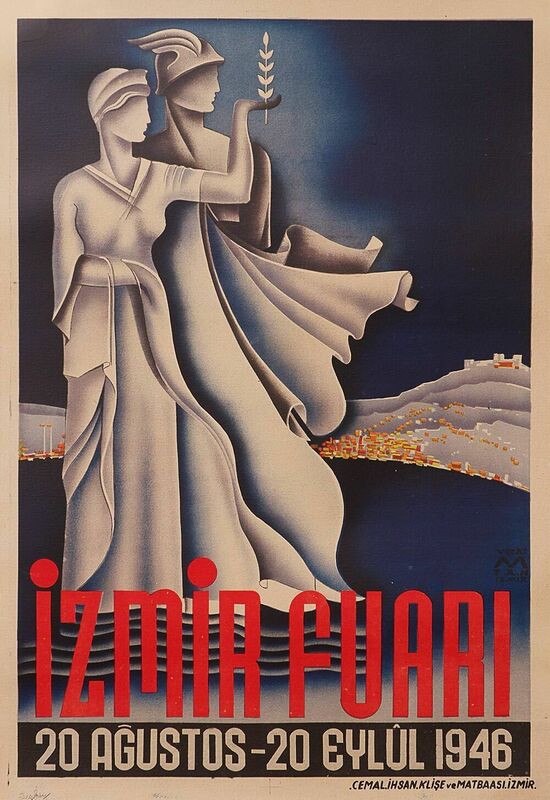 Izmir Fuari is in it’s 87th year as Turkey’s oldest and most comprehensive trade fair. This little gem is done in high art deco style is a very scarce poster. This original vintage poster is linen backed and ready to frame.